Globally Distributed Team Accountability. Got Trust? You’ve got this sinking feeling about distributed team accountability. Global teams are seemingly avant-garde, and you're not sure you can trust them. Right? But you know this isn’t about office space. Rather than zooming out and looking at the big picture, many remote work critics choose to scapegoat over innovation, picking office trends over new technology. Let’s go through some of these trends from the last five years or so. Team members were moved from cubicles to open-plan offices because cubicles were bad for mental health. The walls came tumbling down and with them the desire to do actual work. It wasn’t long before open layouts were deemed destructive to workplace productivity, so agencies moved to reverse the decision. Along the way, it was decided by some that sitting in chairs will make employees lazy or suffer medical issue. So people started standing. Then the walls came up again and back to cubicles employees went, only this time without a chair. Industry thought leaders need to recognize that office concepts, conference tables, or bean bags aren’t the keys they’re looking for. It’s really about one thing and one thing only. 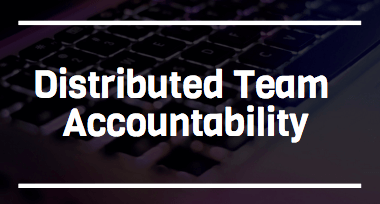 Distributed team accountability is about people. Shifting offices around aren’t going to make employees more accountable or productive. The office has little to do with it. And the proof is globally distributed team accountability is higher with remote workers are putting out a serious amount of work. Many of these remote teams are more disciplined than the collocated. An in-depth study from Stanford University found a significant 13% increase in employee performance from working from home, of which about 9% was from employees working more minutes of their shift period (fewer breaks and sick days) and about 4% from higher performance per minute. Many employees feel more productive working this way. A new workforce research campaign supported by Dell and Intel shows that 50% of those who spend time working from home believe they are more productive there than in the office. Of the remaining half, 36% think they are equally as productive at home. It's not just entry-level employees either. In 2015, a bi-annual survey of more than 200 interviews with senior HR Executives showed that 60% of HR Directors believe the introduction of more remote working practices will boost staff productivity. So much has happened since you first shied away from the idea. The crude tools and shaky mobile work models of years prior have been replaced. A few things have come up since Ralph Gregory rolled out the first virtual office application in 1994. It’s hard to change sentiments. For many the case for a physical office hub is about securing ease of management to ensure distributed team accountability. Maintaining adequate oversight and encouraging individual productivity seems easier to do in person. From a communications perspective, creating an office think tank with brick and mortar is tangible; it feels more real, even more genuine. From a production standpoint, it’s about control. Solid office spaces, desks, and employees look more stable, dependable—more controllable—when it comes to output. But the concerning truth is today lots of in-office employees are unproductive, disengaged, and lack accountability. It’s a growing problem. Shoddy workmanship is everywhere. Gallup's new 142 country study on the State of the Global Workplace shows that about one in eight workers are psychologically committed to their job. Gallup surveys show that up to 55% of employees aren’t engaged at the workplace. Worker output is dropping, and a lack of business investment in new technology that could help increase production may continue to stifle growth. Even though technology has changed. Distributed teams aren't using tin cans to help hold themselves accountable. New tools for globally distributed teams have emerged and these aren’t used by fully remote agencies alone. Recent surveys conducted by uSamp showed that 95% of surveyed workers say they plan to use business communication tools instead of in-person meetings, including email, mobile, and web meetings. Fortune 1000 companies around the globe are changing the way teams communicate. Employees are more mobile now than ever. Recent studies are bringing forward some strange stats: most employees aren’t at their desks 50-60% of the time. The global workforce is evolving. But more are catching on. 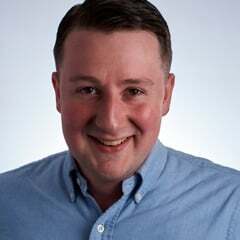 Once decision makers understand that distributed team accountability and productivity have everything to do with the team and their tools, it clicks. And while many large organizations like Verizon, Amazon, and American Express allow employees to work from home, there are smaller—but leaner—globally distributed teams that are continuing to lead the charge. Basecamp is spread out across 26 different cities around the world. They have an office in Chicago, but employees are completely free to live and work wherever they want. The distributed teams working at Lullabot have spelled out highly effective habits of an intercontinental team: including getting dressed for work, drawing boundaries, taking time to be active every day, and taking advantage of the comforts of working from home. Productive work from home strategies have emerged from companies like these, and it’s facilitating distributed team accountability and production on a large scale. Most reservations are about a lack of accountability and a lack of trust. How can an international, remote agency ensure time sensitive projects, like website launches or migrations, won’t go under? If the concept of trusting a telecommuting freelancer is enough to make you shiver, then the thought of globally distributed teams is freezing. But it might be time to thaw out. In 2015, Axelerant's globally distributed team of 55+ (Australia, US, India, Japan, Taiwan) launched several large-scale projects—including a top 50 U.S. website on headless Drupal. We provided more than 250 Drupal 8 commits, gave 16 international sessions, supported more than 15 global community events, and expanded our benefits package for us all.